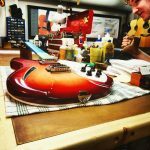 All of our Guitar Electronics Repairs come with a lifetime warranty and are quoted at our shop rate of $104/hour. Standard turnaround time is 2 days, with same-day service available on request at no charge. 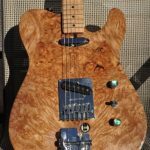 Custom electronic work such as coil tapping, phase inversion and pickup rewinding are available on request. 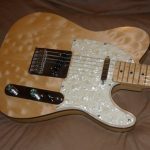 R Guitars helps you understand your instrument and improve your technique whether you're a beginner, intermediate player or seasoned vet! 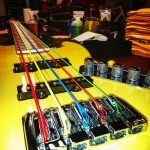 Lifetime warrantied setup and repair is available right here - at R Guitars. Click on the Contact page to connect with us! We do the jobs that no one else will touch. Neck re-sets, fretboard leveling, broken necks, bridge repairs and re-frets done right the first time. Guaranteed for life.